At all times, we use the ladies’ comfort room in our office block, which a custom apparent should be, but mine is different. Our office is located at the 17th floor but I chose to take the stairs up to the 18th just to use a washroom. Though this floor is a bit shady, it really gives me chills and shudders as I imagine a nebulous image (ghost) swiftly acts right in front of me. There is no one in this building level, the offices are empty and mostly the washroom is clean so I preferred having a free space of comfort here. However, after several months, I was noticed by my office mate that gave her rise to doubt and an assumption for my, according to her, is weirdness. I shrugged, shut my mouth and seemed not to care for the whole shebang. Up the staircase, I always sense a need to cover my nose because (this area is someway a smoking zone of some) the cigarette burn smells like hell. One day when I took my step on the wing, I was frightened by a lady sitting on a stairway. During those time is a season of Ramadan so she uses a hijab (black garment worn by Muslim women) which made me more terrified not until I distinguished a smiling lady. Her smile was filled with pleasure as she saw how scared and startled I was, my right hand pressed on my chest such that I knew my heart skipped a beat. We laughed and shared that great sentiment. However, behind those beams and chuckles, I kept my eyes peeled of her tears and I completely felt a different thing. It was, rather, as if she wants to tell something but was hesitant so I sat beside her. I didn’t regard her as a stranger so I was to her. I asked how she’s been doing and she quickly sighed, wiping yet again a tear from her left eye. She said she’s been put down, displeased, unhappy, and infuriated of her job. 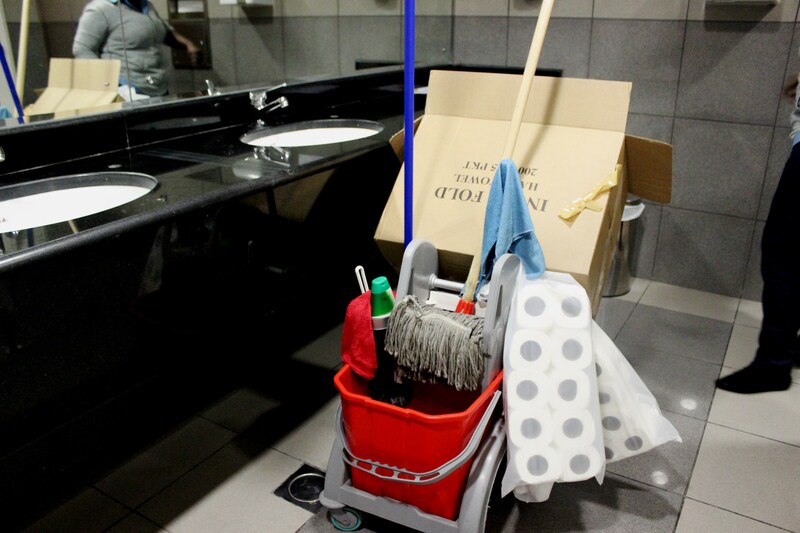 The washroom is so dirty again after hours of her deep cleaning, she worked so hard but nobody ought to appreciate and respect that. She feels bad and wanting to leave her work but if she does, a serious consequence will concern her. 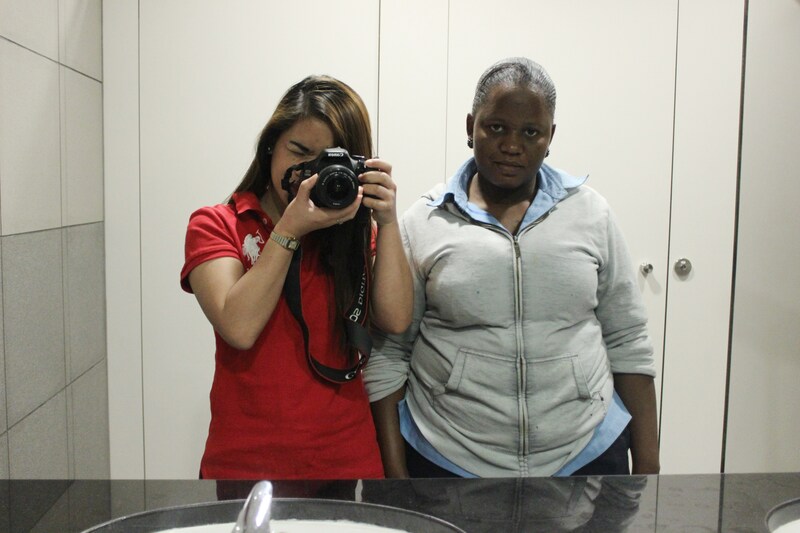 Henceforth I learned that she’s the cleaner of 17th floor’s washroom. Definitely, she’s getting only a small pay and what make things utterly worse is she’s receiving a treatment that she doesn’t flatly deserve. 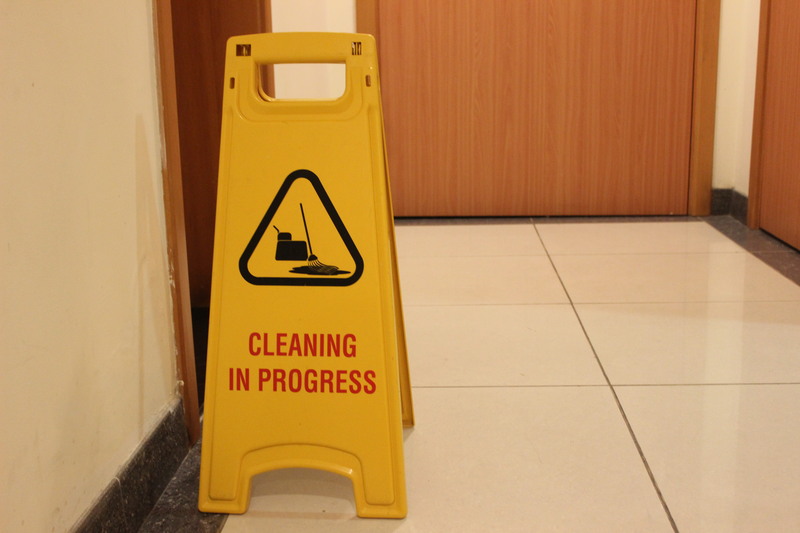 Up to scratch, the reason why I didn’t use our restroom is because it is most awful and filthy. People’s waste wasn’t fully flushed, the sanitary napkins were on the toilet bowl unflushed, pads are sometimes placed on the floor and cigarette butts are to be found elsewhere. 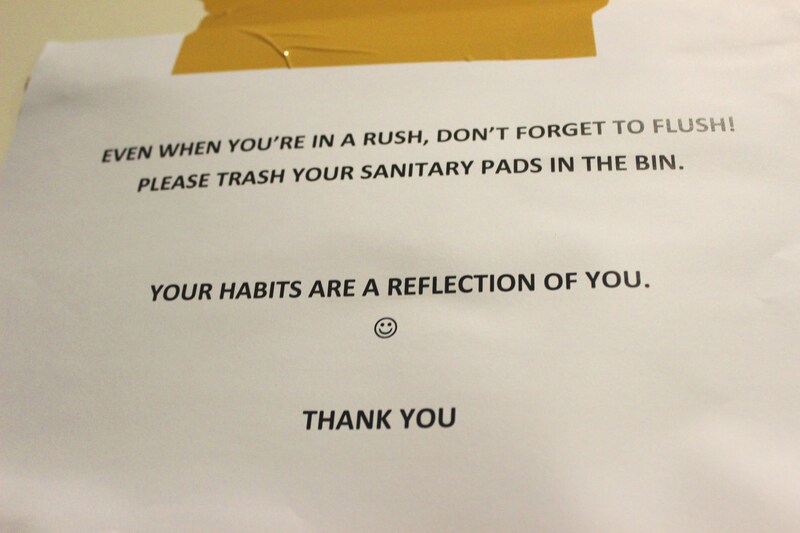 And every so often, the bowl is clogging and so it’s expected to be the cleaner’s agony. As she shared her story, I listened sincerely with an influence of compassion that it cannot be restraint. She is from Africa and she used to be a receptionist. But because of getting a smaller amount of salary, she came here and tried finding her luck, which actually didn’t happen as what she speaks. Upon completion of her university degree she didn’t have the say to get marry as she has to take care of her mother. She has many siblings, around forty. Oops that is outrageous but she held it’s the truth. Her father has seven wives and her mother’s the seventh! We cracked a heartfelt laugh when I said her father must be kidding me. Since I knew that she’s in-charge of our comfort room, I started to dislike going upstairs. Throughout mornings at exactly 11:00 AM, I will visit the washroom and have chitchat with her. She always teases me every time I look at the mirror, front and at my back. Then without a qualm she walks like a model holding a cleaning material, and if someone suddenly breaks in the washroom, she quickly stopped but truly embarrassed, we looked at each other and by a hair’s breadth that we controlled our amusement, until such time we burst out into laughter when finally that woman left. Not long ago, I recalled her saying, “I envy you because you just sit in your office, and you dress smart, you look good. Did you see how bad my life is?” She wanted to work in an office too or want to land a profession as a security guard, but out of the clear blue sky, opportunity shuts the door on her. In fact the first time I saw her, I primarily noticed her black-faded and cracked shoes, and I assumed that was her favorite because I think she uses more often than not. I didn’t intend to shame her but where the heck did I get the nerve to ask what about her shoes. Thankful I was that she is as open-minded as anybody would not. She said she just misses being a receptionist, and those shoes were a gift turned to be her favorite. She tightly hugged me and said she’s happy of where she is now, otherwise, she might not met me like this. I made face of disapproval as I will not agree with her to the fullest extent I can. The truth is I am most grateful that she made a sway out of my months full of grumbles and sighs. I froze of disbelief to myself on how thankless and insincere I was. I should be the one telling this: I am touching the keyboard, she touches the toilet bowl, I take hold of the computer mouse, and she grips the toilet brush. I am being paid an enough wage and she’s not. She has a mother to take care of; I have a mother who takes care of me. Life is too striking not to upkeep and be gratified of everything each of us has. Now I want to be free from fury so I will tell this, BE NICE PEOPLE. BE WELL-MANNERED. IF YOU DON’T RESPECT HER JOB, YOU DISGRACE HER. Yes, only a wearer of those uncomfortable shoes can feel the sting, but I believe that we human beings have the ability to mentally put ourselves to anybody’s “shoes”. She is jealous of us working in an office but we never envy what she does for a living. 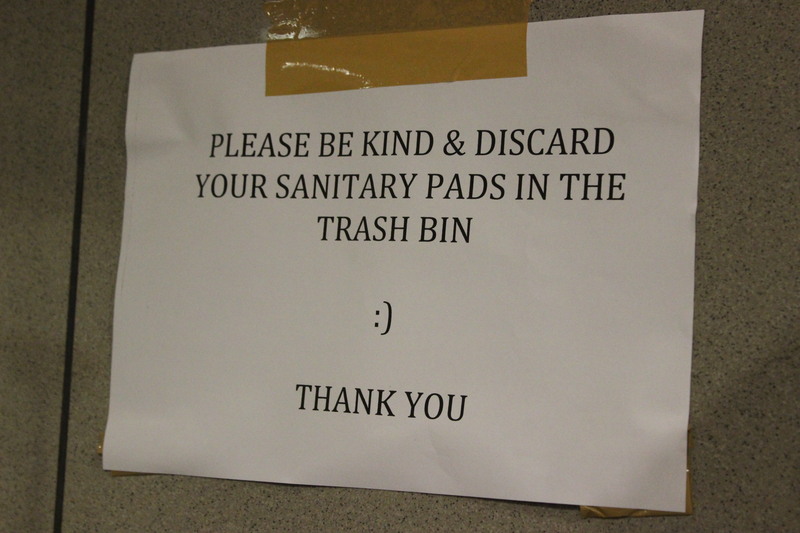 Let us, at least, do small things by putting our napkins to the trash bin, and press the toilet flush. If you say that it is her job, I say it’s our engagement to be kind… to be kind always. and i cried ::)) Thanks sis for sharing this story.